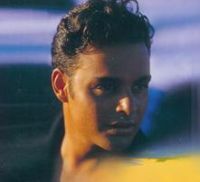 It's a project from Switzerland produced by Andreas Nager, the first single was called Dancing on the beach , a very succesfull song reaching # 17 in Switzerland chart. The track was wroten by Andreas after that was released the single Show Me and in 98 the album Colours. The last track was released in 1999 and was called Whenever You Need Me.